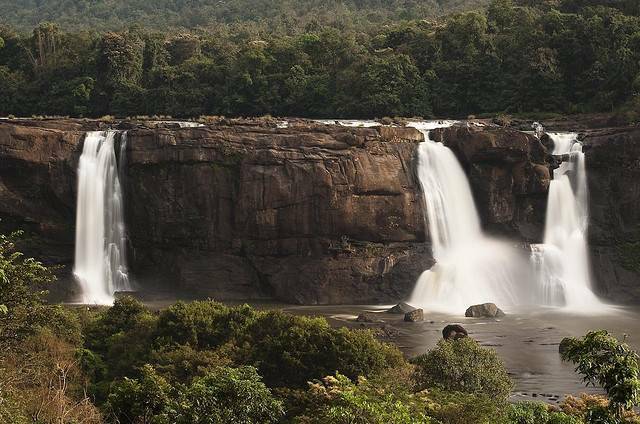 About 70 KMs from Cochin, Athirapally or Athirapally falls is a famous and beautiful tourist spot in Kerela. The Athrappilly falls which are akin to the Niagara Falls offer a grand view of Chalakudy River falling from approx 80 feet. Athirapally, a destination which could transform the most doubtful person into an irrevocable nature lover. Situated in Chalakudy, Thissur District, it is popular for only for one spot, the Athirapally Waterfall but this place could kindle an incessant affair between a traveler and nature. Nick-named the Niagara of India, the falls at Athirappilly Waterfall is government protected and offer visitors a fine view of the Chalakudy River, making its progress through the sub-tropical rainforest to throw itself down an 80ft drop onto the rocks below. Not a raging torrent as Niagara is, it’s still a fairly substantial site. The flow and spray carrying away with it any feelings that this is a sight not worth visiting. And the site attracts around 7 million tourists a year. A mighty 80 feet cascade nestled on the periphery of dense Sholayar Forest plummets down blending with River Chalakudy. There’s not only a pastoral environment which is worth exploring but also a sanctuary which is a home to 4 endangered species of Hornbill. The region is affiliated with International Bird Association and Asian Nature Conservation Foundation to preserve it as a crucial ecological unit. A riparian area, Athirapally Falls is a stunning feature crafted by nature, void of any artificial meddling, a place which defines its essence by being pure, untouched. 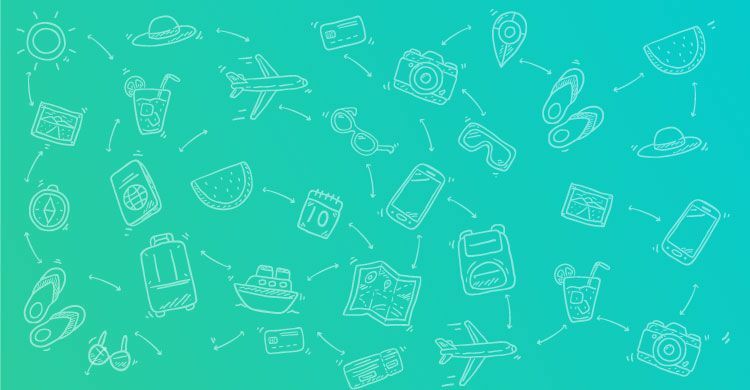 Travelers can also experience the company of majestic elephants and the simplicity of fish curry and coconut water, typical but delicious cuisine of Kerala with succulent dates and remarkable adventure expeditions like trekking and jungle safaris. Also visit the Vazahachal falls in the vicinity.